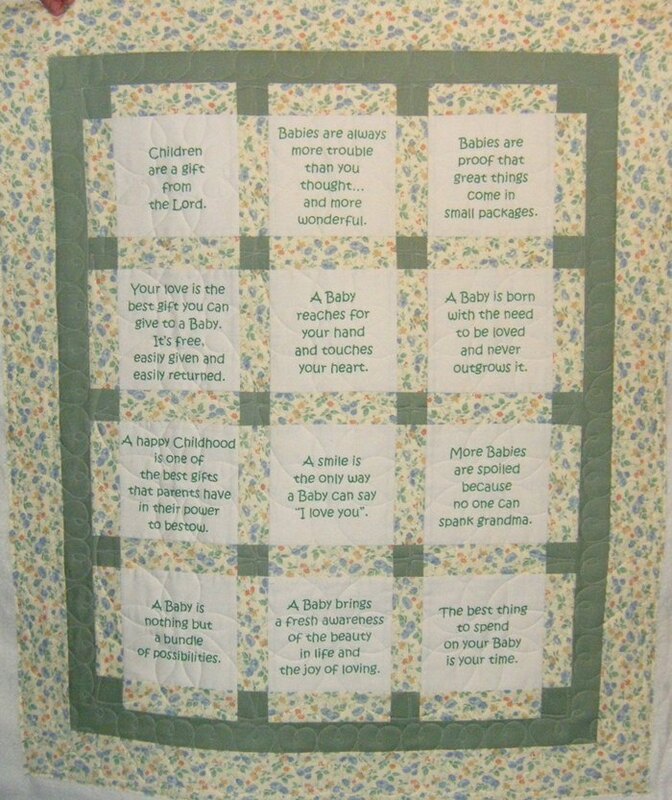 Another quilt I finished for MA is this baby sayings quilt. The pale yellow border is also used as the backing and coordinates well with the sayings and the olive green border. This quilt is about 31″ x 38″. The borders are quilted with freehand hearts and the blocks are done with a freehand design that coordinates with the hearts. Once again, a beautiful job you did!